Welcome to the Drive Safer Program! At Drive Safer, our goal is to provide new drivers with the opportunity to learn and hone their driving skills from professional certified high-performance driving instructors. Our goal at Drive Safer is to provide a safe, fun, and positive experience for all participants, and you play a valuable role in attaining this goal. Please read through this participation agreement carefully. As a condition to registering for the Drive Safer Program (the “Program”) organized by Drive Safer, LLC (“DS”), you and your parent or legal guardian must agree to and acknowledge the following terms and conditions. By initialing and completing the online registration, you acknowledge that: (i) you have read and agree to abide by the terms and conditions in this Agreement; and (ii) your parent or legal guardian has reviewed and accepts this Agreement. You are also aware that if you violate the agreement, Program staff may, at their sole discretion, terminate your participation and ask you to leave the Program grounds immediately without a refund of any Program fees. As the parent or legal guardian of the minor participating in the Program, By initialing and completing the online registration, you acknowledge that: (i) that you are the parent or legal guardian of the minor child applying for the Program and that you have the right, authority, and capacity to enter into this Agreement on behalf of yourself and your minor child; (ii) that you grant permission for your child to participate in the Program and will supervise and take responsibility for the actions of your child at all times; (iii) that you have read and agree to abide by the terms and conditions in this Agreement; and (iv) that you have reviewed this Agreement with your child and have agreed that your child will abide by the terms and conditions of this Agreement. All references to “you” in the Agreement shall include both you and your child where appropriate. You should be responsible and sufficiently mature to conduct yourself at all times in an appropriate manner. You are expected to respect the rights of others. You must follow the instructions of your parent or guardian and any Program staff. You must abide by all posted driving instructions, including posted speed limits. In no event should your speed on the Program premises exceed 35 miles per hour, unless specifically instructed to do so by your instructor. You should participate in activities to the best of your ability and pay full attention to your Instructors and other Program staff. You should not engage in any obscene and/or discriminatory language or harass other participants or Program staff. No weapons, alcoholic beverages, tobacco and/or illegal drugs are permitted. You should immediately notify the Program staff and your parent or guardian if you have any concerns or medical needs. Participants and/or their parents or legal guardians will be responsible for paying any costs related to injuries, damages or repairs in the event of personal injury or property damage of others, including any injuries to other Program participants or to third parties. Failure to obey the directions of the Program staff, including Instructors, at any time, shall be grounds for immediate removal from the Program premises, and is not subject to any refund. 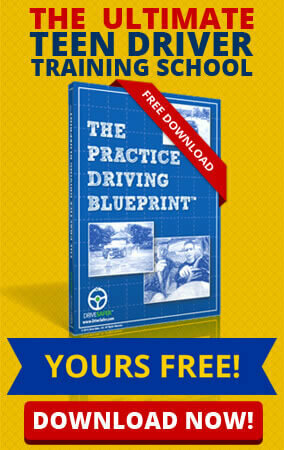 You are responsible for bringing your own car for use in the driving portion of the Program. The car must be in safe, working order. The Program Staff reserves the right, at their sole discretion, to refuse to allow any vehicle to participate in the Program, for any reason, including if such vehicle is deemed unsafe or unsuitable. All participants must have a valid driver’s license or a valid learner’s permit. In addition, the participant must be covered by a valid insurance policy meeting the minimum state insurance requirements. The license or permit and evidence of insurance must be provided to Program staff upon check-in. Please ensure that you have enough gas available for use during the Program. Parking for one (1) vehicle per participant is included in the registration. There will be a parking fee for each additional vehicle. Note, DS assumes no responsibility or liability for the custody or control of any vehicles parked at the Program premises or for any stolen property or vehicle damage. Please do not leave any valuables in your car. As these events have limited numbers of spaces for participants, all registrations are final. There are no refunds. If you choose to cancel your registration for any reason, you will be allowed to reschedule one (1) time, for a future course within one (1) year of the initial date, if you pay a change fee of $50.00. The programs will be held in inclement weather, and unless the Program is cancelled by DS in its sole discretion, you will be expected to attend. DS reserves the right to cancel the Program at any time, in its sole discretion. If we cancel the Program, DS’ only obligation will be to provide an alternative date for the event. You confirm that all information provided during registration, including your license and insurance information, was fully accurate and continues to be fully accurate. You understand that DS will take photos, videos and other depictions of the Program and Program activities. You and your parent or legal guardian consent to the use of your likeness or image in any such photo, video or other medium by DS, including for the purpose of promoting and marketing the Program. Discontinuation of your participation in any further Program activities, without refund of any Program fees. Your removal from the Program premises, without refund of any Program fees. Disqualification from future Drive Safer events. You or your parent or guardian being held responsible for the cost of injuries, damages or repairs in the event of personal injury or property damage. Reporting to schools or other sponsor organizations. Reporting to law enforcement agencies and/or the proper authorities for violations of law. The Program staff and DS reserve the right to take any of the foregoing actions, in their sole discretion, for any violation of this Agreement or for any other action or inaction that could reasonably place any person or property in danger or could impede the enjoyment of the Program by other participants. You and your parent or legal guardian acknowledge that driving is an inherently risky activity and that, despite any precautions taken by DS, you may be subject to injury or may cause injury to others or damage to property. Risks include risks not only created by your actions, but risks created by the actions of other parties, including other participants and spectators. You and your parent or legal guardian agree that you will assume all risk for participation in the Program. You and your parent or legal guardian understand and acknowledge that all risk assumption includes liability assumption from accidents which may occur from negligence or carelessness on the part of you, other participants, spectators, volunteers, Instructors or other Program staff, or DS. You and your parent or legal guardian will be required to sign a full and complete release of liability and indemnification agreement (the “Waiver”) upon entering the Program premises. In addition to the terms of the Waiver, to the maximum extent permissible under applicable law, you and your parent or legal guardian agree to indemnify, hold harmless, covenant not to sue, defend and release DS, its Instructors and other staff members, affiliates, partners, agents and suppliers, and its and their respective officers, directors, stockholders, agents and affiliates, from any claims, losses, damages, liabilities, including attorney’s fees, WHETHER CAUSED BY THE NEGLIGENCE OF SAID RELEASEES or otherwise, arising out of this Agreement, the Program or your participation therein. You and your parent or legal guardian agree not to settle any indemnifiable matter without the prior written consent of DS. DS reserves the right, at the expense of you or your parent or legal guardian, to assume the exclusive defense and control of any matter for which you are required to indemnify us and you and your parent or legal guardian agree to cooperate with our defense of these claims. Our goal is to provide a fun and enjoyable event and an opportunity for participants to improve their driving skills. You and your parent or legal guardian acknowledge that DS has made no representations or warranties, implied or explicit, including any implied warranties of merchantability or fitness for a particular purpose, regarding the Program. Without limiting the foregoing, to the maximum extent permitted under applicable law, the entire liability of DS and its INSTRUCTORS AND OTHER STAFF MEMBERS, affiliates, PARTNERS, agents and suppliers, for any damages whatsoever, whether arising under contract, tort or otherwise, arising out of or related to this Agreement, the PROGRAM OR YOUR PARTICIPATION THEREIN shall be limited to the AMOUNT OF REGISTRATION FEES PAID FOR THE PROGRAM. This Agreement will be governed by and interpreted in accordance with the laws of the State of New Jersey, without regard to conflict of laws principles thereof. YOU, YOUR PARENT OR LEGAL GUARDIAN AND DS AGREE THAT THE EXCLUSIVE VENUE FOR ANY DISPUTE RELATING TO THIS AGREEMENT, THE PROGRAM OR YOUR PARTICIPATION THEREIN IS THE STATE AND FEDERAL COURTS IN NEW JERSEY. YOU, YOUR PARENT OR LEGAL GUARDIAN AND DS CONSENT TO THE PERSONAL JURISDICTION OF THESE COURTS. EACH PARTY AGREES TO WAIVE SUCH PARTY’S RIGHT TO TRIAL BY JURY WITH RESPECT TO ANY ACTION RELATING TO THIS AGREEMENT, THE PROGRAM OR YOUR PARTICIPATION THEREIN. The prevailing party in any legal action brought by one party against the other and arising out of this Agreement, the Program or your participation therein shall be entitled, in addition to any other rights and remedies it may have, to reimbursement for its expenses, including court costs and actual attorney’s fees incurred. This Agreement, along with the Waiver to be entered into upon entering the Program premises, are the entire agreement between the parties relating to the subject matter herein and shall not be modified except in writing, signed by both parties. Any provision of this Agreement may be waived only by a written instrument executed by the party entitled to the benefit of such provision. The failure of any party at any time to require performance of any provision of this Agreement shall in no manner affect such party’s right at a later time to enforce the same. A waiver of any breach of any provision of this Agreement shall not be construed as a continuing waiver of other breaches of the same or other provisions of this Agreement. The heading references herein are for convenience purposes only, do not constitute a part of Agreement, and shall not be deemed to limit or affect any of the provisions hereof. If any provision of this Agreement shall be unlawful, void, or for any reason unenforceable, then that provision shall be deemed severable from this Agreement and shall not affect the validity and enforceability of any remaining provisions. The parties further agree to replace such void or unenforceable provision of this Agreement with a valid and enforceable provision which will achieve, to the extent possible, the economic, business and other purposes of the void or unenforceable provision.